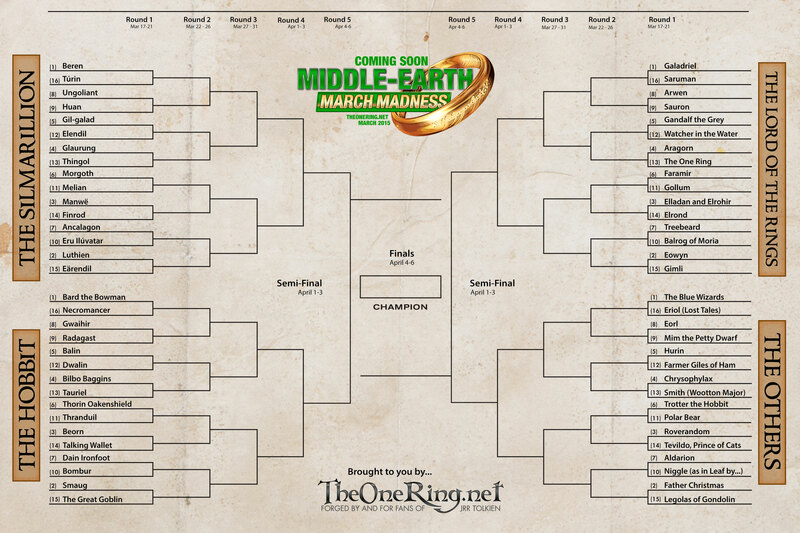 Middle-earth March Madness – Elite Eight Match-ups! Vote Now! No April Fools here folks! 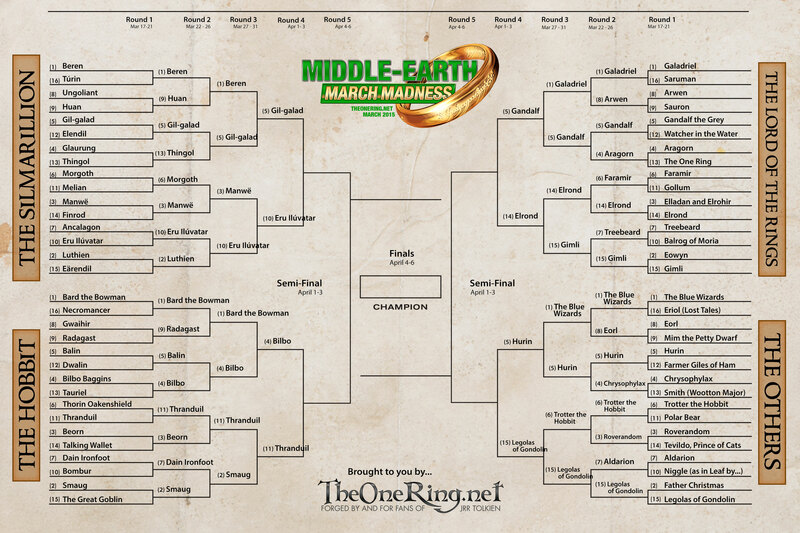 We’ve reached the Elite Eight in our 2015 Middle-earth March Madness! 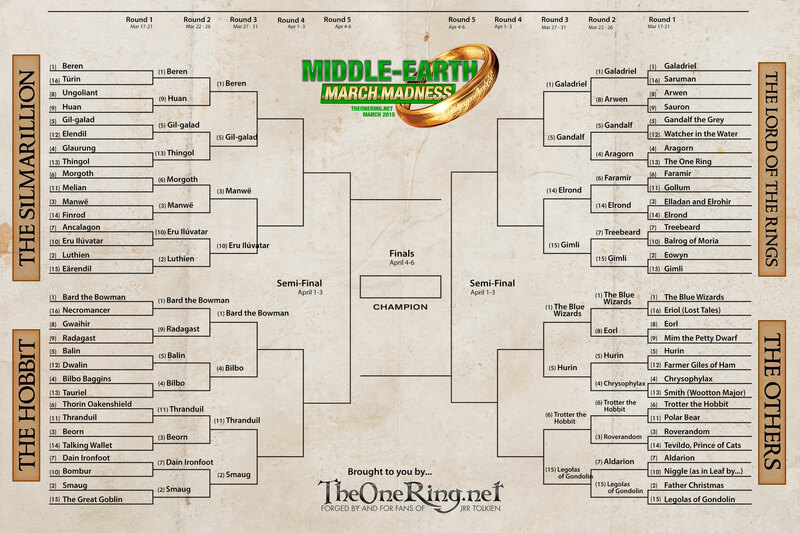 This round will determine who will represent each division! Because today is April 1st, and there are a slew of April Fool’s jokes out there, we’re going to just get right too it! 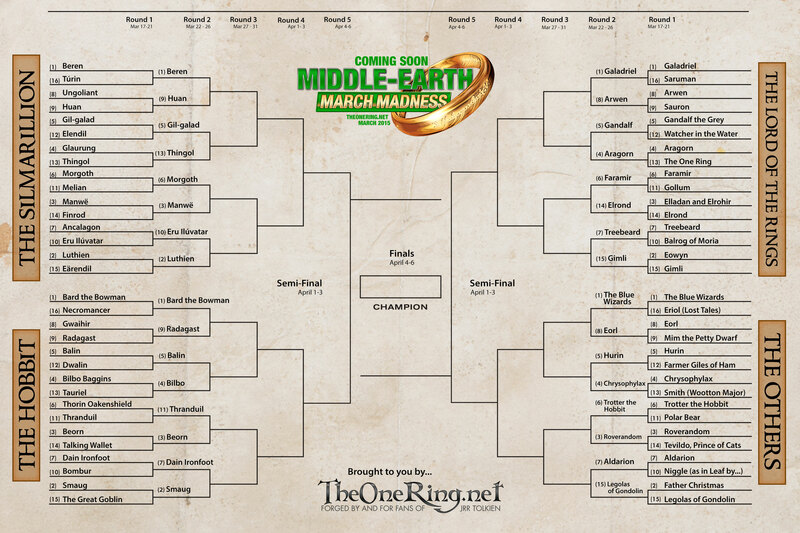 Can (4) Bilbo take out the tournament Cinderella, (11) Thranduil? 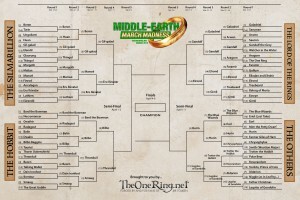 Can (14) Elrond really take out (5) Gandalf?